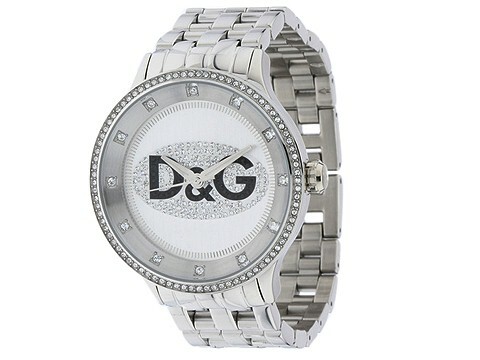 Stylish DG logo watch with sparkling crystal accents. 3 ATM water resistance. Made of stainless steel. Dimensions: Face Width 40 mm Face Height 40 mm Face Depth 10 mm Band Width 20 mm Jewelry clasp closure.